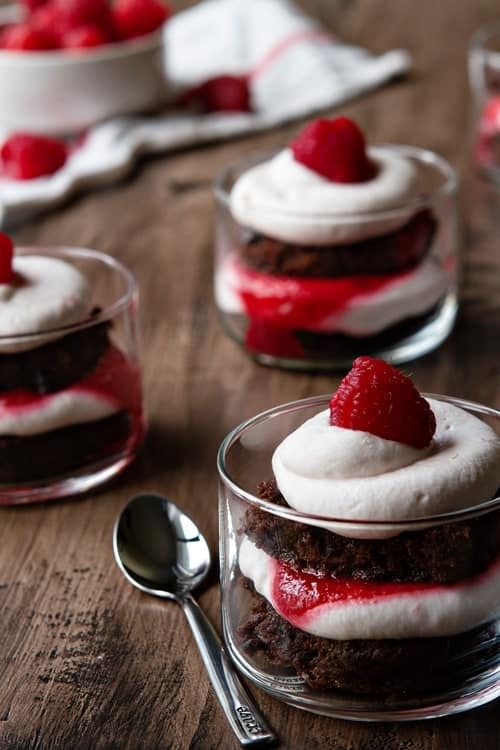 Mini Brownie Trifles are layered with raspberry sauce, raspberry whipped cream and finished with fresh raspberries to create a delicious dessert worthy of any upcoming holiday celebration. This post is brought to you by Driscoll’s. All text, images and opinions are 100% my own. With the holiday season in full swing I’m all about creating recipes that are simple to make. But they also have to be beautiful, delicious, and perfect for holiday entertaining. Simple has become my mantra. From dinner recipes to holiday shopping, I want everything to be simple. I’m still trying to figure out why Eric and I thought it would be an amazing idea to plan a move during the holiday season, but we did. And there’s no turning back now. We’re in the middle of packing everything that we don’t need – the only problem is, I need all the things. I can’t tell you how many times I’ve headed out to the garage and sifted through a slew of boxes to locate something that we’ve already packed away. And don’t get me started on the horrible labels that I’ve given the boxes. I thought labels such as basement, living room, and kitchen would suffice. Turns out they don’t when you’re unpacking before you even move. There may have been a moment when I realized we somehow packed all my mini trifle glasses, glass jars, and even my favorite spoons! How this travesty happened, I don’t know, but there was some serious panic at Chez Baking Addiction. If you have followed My Baking Addiction for any length of time, you are probably well aware of the fact that I have a serious affinity for individualized desserts like these Cranberry Trifles and these No Bake Cranberry Cheesecakes. Especially if they’re served layered in small glass containers. Hence my panic. There’s just something about a mini trifles on a pretty tray that speaks to me. And since they have built in portion control, they’re great for holiday get-togethers with family and friends. Hence unpacking boxes to find these mini glasses. When Driscoll’s asked me to create a recipe using their gorgeous and sweet fresh raspberries, my mind immediately went to brownies. If there’s anything in life that should go together, it’s chocolate and raspberries. So I give you Brownie Trifles – layered with raspberry sauce, raspberry whipped cream and topped with – you guessed it, fresh raspberries. 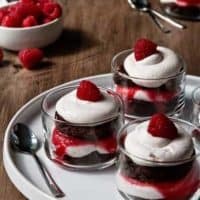 Not only are these Brownie Trifles with Raspberries easy to assemble, you can make the brownies and the raspberry sauce the night before. And they’re mini, because mini is always better, and I didn’t go through all the hard work of unpacking already-packed boxes for nothing. 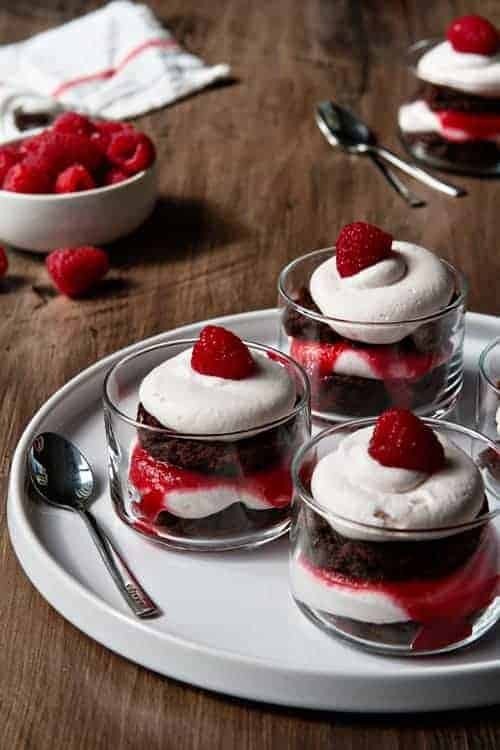 Whether you’re creating a dessert for a holiday gathering or an impromptu get-together with your best friends, these Mini Brownie Trifles with Raspberries are sure to be a hit. 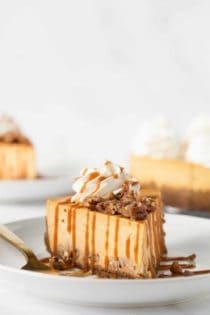 And they’ll definitely stand out amidst a sea of the standard pumpkin desserts that are sure to fill dessert tables this holiday season. Plus, if you have two or three in the process of eating your feelings because of allthepacking, no one’s really going to judge you. They’re mini. Do you love raspberries as much as I do? Be sure to check out Driscoll’s on Facebook, Pinterest and Instagram for loads of berry inspiration, recipes, and so much more. 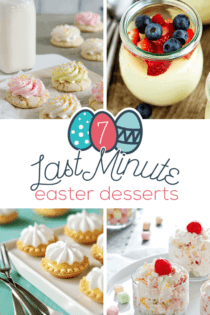 Looking for more delicious raspberry desserts? In a medium saucepan, stir together Driscoll’s raspberries, sugar and lemon juice. Heat over medium heat, stirring often until raspberries are broken down, about 7-10 minutes. Remove pan from heat and stir in vanilla extract. Strain sauce through a fine mesh sieve to remove the seeds. Allow sauce to cool completely. 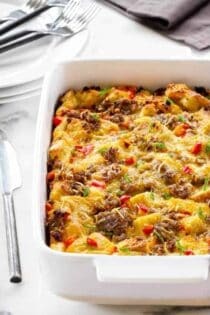 Cover and place in refrigerator for at least one hour or overnight. Preheat oven to 350 degrees. 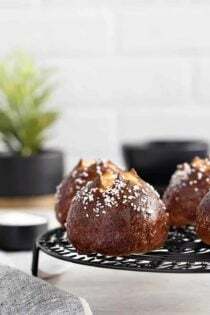 Line an 8×8 inch baking pan with foil and spray with nonstick cooking spray. Microwave chocolate and butter in a large bowl microwave-safe bowl at medium (50% power) for 2-3 minutes or until butter is melted. Stir until chocolate is melted. Whisk in sugar, eggs, vanilla and salt. Gradually add in flour; stir until just combined. Spread the batter into prepared pan. Bake for 30-35 minutes; do not over bake. Cool completely. 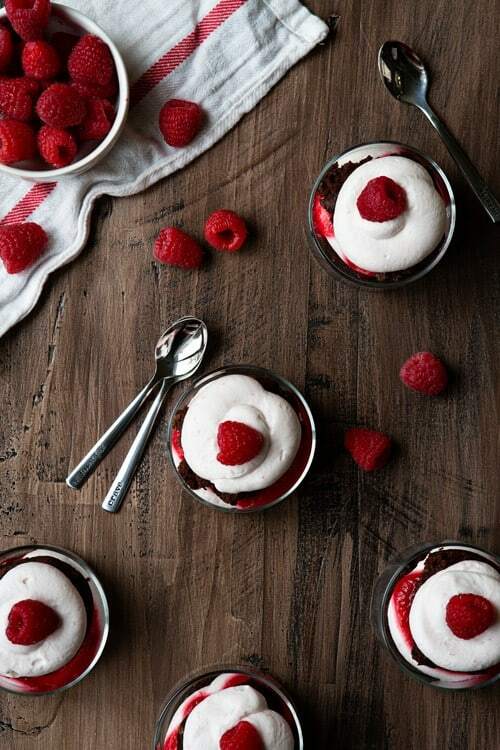 When you are ready to assemble the trifles, make the raspberry whipped cream. 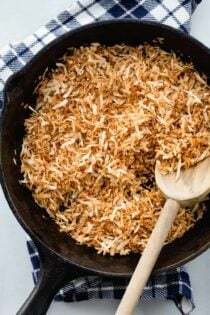 In a medium bowl, combine cream and confectioners’ sugar. 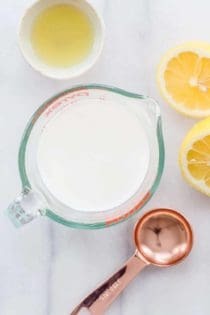 Use an electric mixer on medium speed to beat the cream until stiff peaks are formed. Fold in vanilla and raspberry sauce, gently folding until no streaks remain. Use a small glass or round biscuit cutter to cut the brownies into 6-8 circular shapes. Once you have 6-8 brownie circles, slice each brownie in half horizontally, directly through the centers of the brownies, so each brownie is now two thinner circular brownies. Place a brownie at the bottom of each trifle dish or small glass. Spoon about 1 tablespoon of raspberry sauce onto each brownie. Add a layer of raspberry whipped cream and repeat layers. Garnish with fresh raspberries. Disclosure: This Raspberries… Now It’s Desserts post is sponsored by Driscoll’s; however, the views and opinions expressed on My Baking Addiction are my own, and based upon my experiences with Driscoll’s berries. 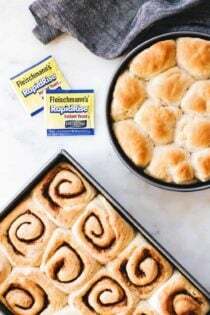 Thank you for supporting Driscoll’s and the brands that continue to make My Baking Addiction possible. I am with you on the simple meals and simple desserts, these brownie trifles are perfect. Raspberries and chocolate are my favorite combo. Last time we moved I literally listed everything in the kitchen boxes on the outside of each box. So smart, Miss! I need to do that going forward. I appreciate you stopping by! This is my all time favorite flavor combo. Sweet tangy raspberry with chocolate is ALWAYS a winner in my book, and make it simple and single serve….I love it Jamie! Good luck with the move. Thanks so much Cheryl, I appreciate you stopping by! These look decadent! I love the flavor combo. Good luck with your move. It’s a hectic time, I know! Thanks so much! I appreciate you stopping in. These are absolutely gorgeous! I love Driscoll’s, they’re my favorite brand of berry! Thanks so much! I really appreciate you stopping by! Thank you! I’m really glad you stopped by. 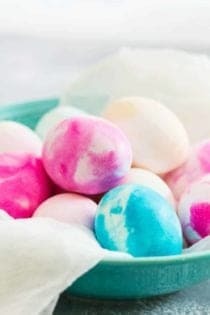 Jamie, these look so adorable!! I’ve definitely noticed your thing for individual desserts. I’m right there with ya. These berries are one of my favorites and brownies are my weakness so I’m sure I’d love these! Mine too, Natalie! Thanks so much for stopping by! Thanks so much for your kind words and for stopping by. You can pick up the glass dessert bowls at Pier 1 or online at Amazon here (affiliate link). I absolutely love them and think you will too! Thanks Jamie – Just ordered them! Now my dessert has a chance to look as yummy as yours. The combination of chocolate brownies plus fresh raspberries is one my very favorites in all the world. LOVE this! I totally agree, Brenda! Thanks so much for stopping by! Chocolate and raspberries are one of my most favorite dessert combos! LOVE this beautiful creation, Jamie! Mine too, Kristen! Thanks so much for visiting! Chocolate + raspberry = you have my heart. Yum! They are so darn good, Cheryl! Thanks so much for stopping by! those look so good I think I am adding them to our Christmas eve menu. I also am loving your favorite spoons. Where did you purchase them? Thanks so much for stopping by. The spoons are from the Vintage Pearl. I have them custom made a few years ago to use in photos. Thanks so much for stopping by! 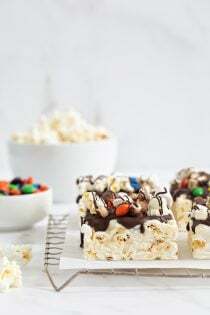 Brownie trifles – yes please! Thanks so much for stopping by, Jessica! These are SO gorgeous! I can’t even imagine how hard it must be to bake and photograph when half your stuff is packed up in boxes and ready to be moved, but the photos are perfect. LOVE the raspberry sauce and raspberry whipped cream! Thanks so much, Alexandra! 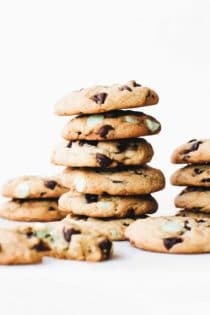 I really appreciate you stopping by and checking out this recipe! 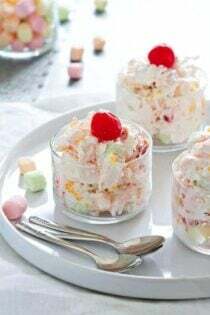 These trifles are gorgeous! I love the chocolate and raspberry paired together. Pinning! Thanks so much, Jen! 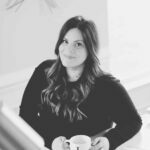 I appreciate you stopping by and pinning the recipe! 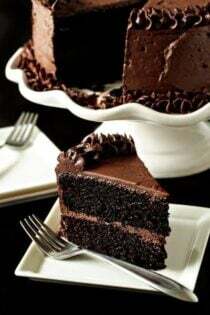 I love this dessert- making it soon.. I even get DrisDriscoll berries in Italy! I hope you get the chance to try it. Thanks so much for stopping by. Can we use frozen raspberries to make the sauce? Sure, that should work just fine! 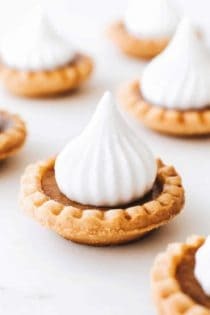 How long in advance can these be made with the whipped cream? 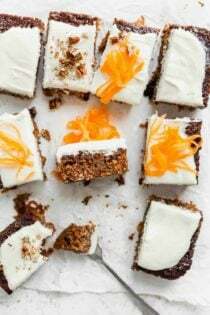 Hi there – I would wait until just before serving to assemble these so that the whipped cream doesn’t break down and the brownie layers don’t get too soggy. Hope this helps! Happy baking.